In present there is no accurate end-to-end dynamic measurements for ARM program execution time, because the measurement results given by hardware counters in ARM microprocessors are not precise enough and the timing cost of instrument methods is difficult to be calculated. 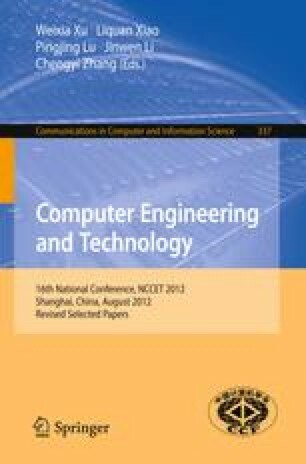 Therefore, this paper proposes a combined hardware/software measurement for ARM program execution time. It sets the precision of measurement in the system boot loader code, encapsulates the access to timers in the kernel of Linux, and then measures the execution time of the program by the timer and its corresponding interrupt during the execution of the program. Experimental results have shown that comparing with instrument methods and hardware counters, our method is an efficient way to obtain accurate and precise execution time measurements for ARM programs. Additional experiments performed by the combination of curve fitting techniques and our method have shown the method can be used to predict the execution time of program under different input data. This work has been supported by the National High Technology Research and Development Program of China (Grant No.2009AA011705) and the National Natural Science Foundation of China (Grant No. 60903033).